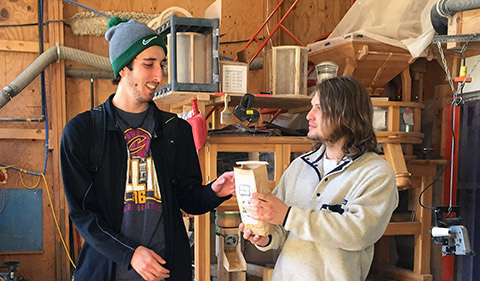 Students Jacob Ballas, and Sam Heckle share samples of the products produced in-house at the Mill. Students were shown how a variety of products can be produced in the milling process. Dr. Smoki Musaraj and some of her Economic Anthropology students traveled to Appalachia’s own Shagbark Seed & Mill headquarters on Saturday, Nov. 12. I personally enjoyed our fieldtrip to the Shagbark center of operations. The building didn’t have that overpowering “you’re a needle in a haystack” feeling like I felt when I visited mass production mill factories in the past. Michelle Ajamian, one of the two co-founders of Shagbark, greeted us with open arms and invited us in where the magic happens. Which makes me chuckle because our very own Mill street here in Athens is still important to the community for multiple reasons, but now I know the reason behind the naming of the street. Shagbark started up back in 2008 and has continued to grow since. It’s a certified organic mill and seed processing hub here in Appalachia Ohio. Their model is to select beans and grain that have the most nutritional value. Some of the crops the organic Ohio farmers they work with grow are wapsie valley corn, black turtle beans, red fife wheat, pinto beans, oberkulmer spelt, and buckwheat. Any grain or bean crop waste that comes out as waste from theseed cleaner is sold to local farmers for feed. Shagbark has farms in nearby counties like Defiance, Marion, Putnam, Shelby, Morgan, and Wynadot. Their products range from spelt pasta and corn tortilla chips to heirloom corn grits to buckwheat flour. 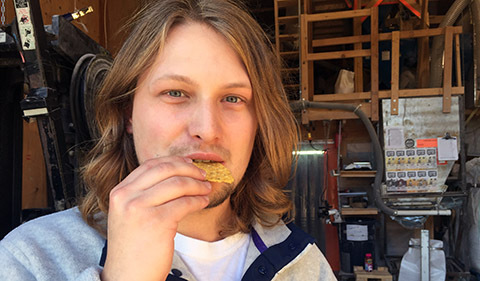 Senior in Anthropology Sam Heckle enjoys a corn tortilla chip, Shagbark’s flagship product. Students were given a free sampling of the product at the end of the tour. To put into perspective how healthy their products are, a small bag of Shagbark’s corn tortilla chips is 2 servings and each serving has 4 grams of protein in it. Shagbark partners with school food service on pilot projects to identify what works best for the school’s cafeteria and budget so that kids are exposed to these healthy products and can benefit them at an early age. Their “Good Food for All” program offers schools serving free and reduced meals and other food programs their products at their lowest pricing, and supports fundraisers for Social Justice and Art in our region through donations. Shagbark has 10 main workers, including the two co-owners, and three OHIO students who work at the local farmer markets. They also have a disabled person on staff helping with deliveries to Kroger and other stores. I personally love that they do this because when they hire people with a disability, that person gets paid close to $9 an hour. Right now Shagbark’s employees are paid between $12 & $15 an hour. 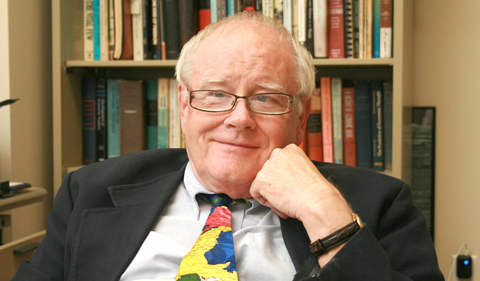 As the business grows and expands, they expect to pay more, provide more benefits, etc. If you’re looking for an internship with Shagbark, but don’t have any history of working in a mill, no worries! 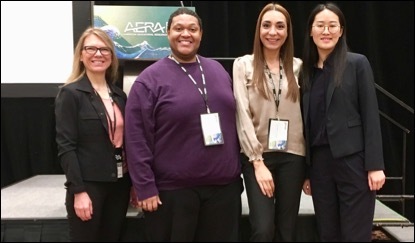 They offer research and internships opportunities to high school and college students in Food Studies, Agriculture, Industrial and Mechanical Engineering, and Marketing and Design, as well as University researchers who are looking for farmers to grow research plots or need a facility to clean and mill them.